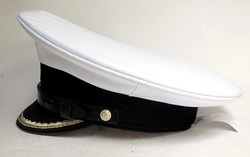 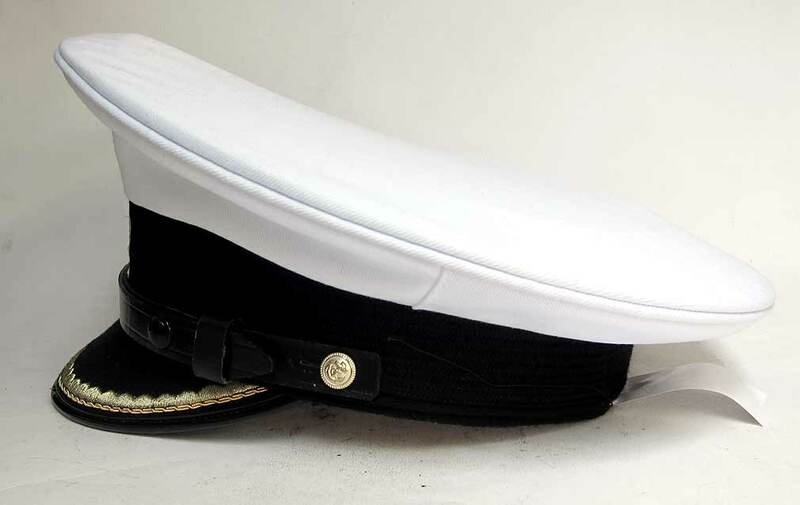 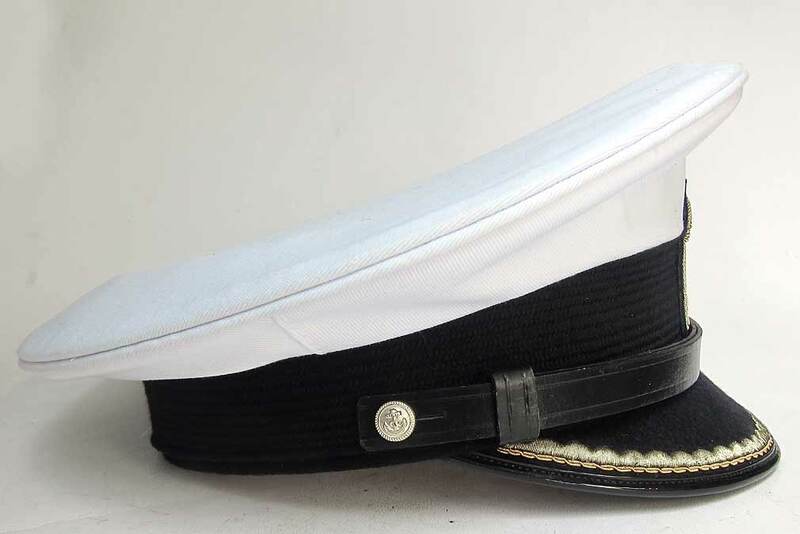 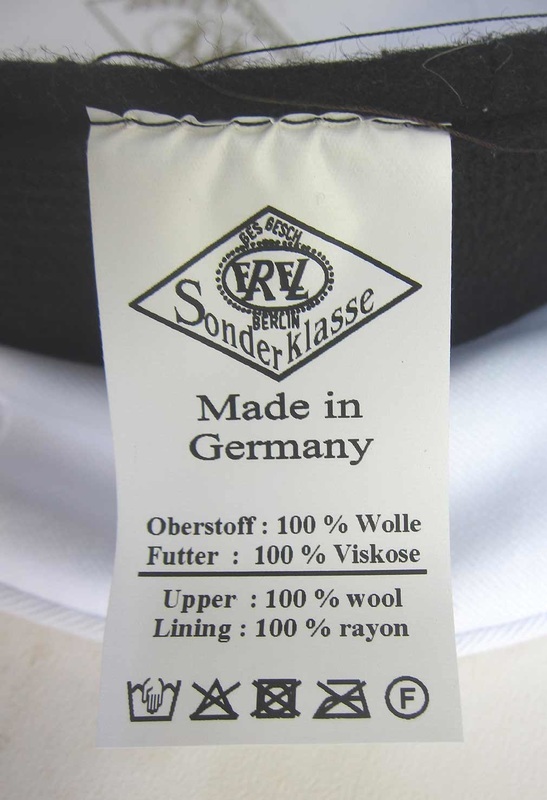 This is a cap made for a member of the KMK - Kungliga Motorbåt Klubben - Motor Yacht Club. 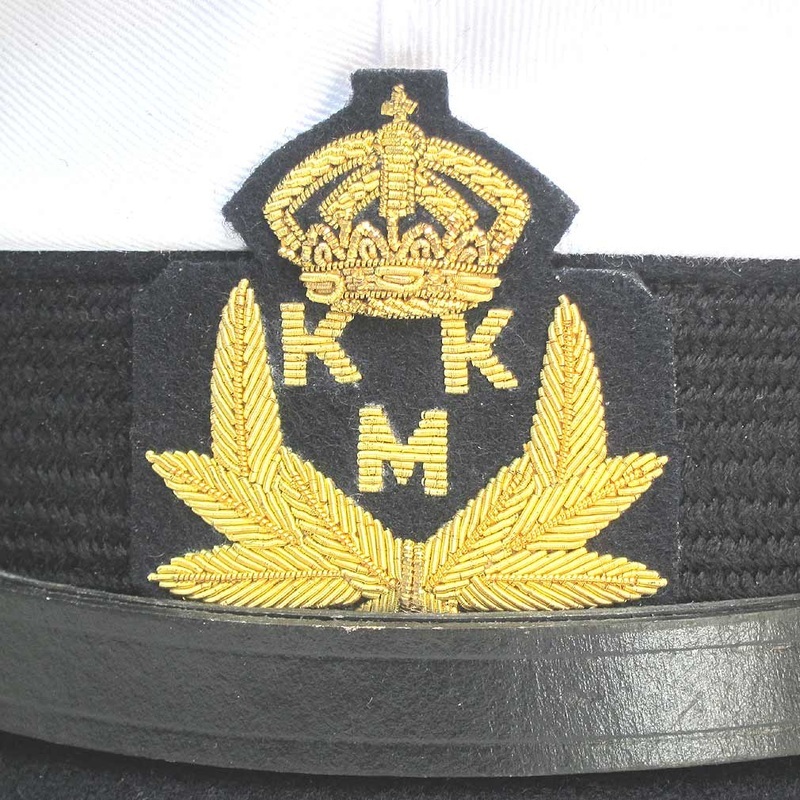 It is based on our German EREL design and has the gold braid round the peak and matching KMK badge with the Swedish Crown on top. 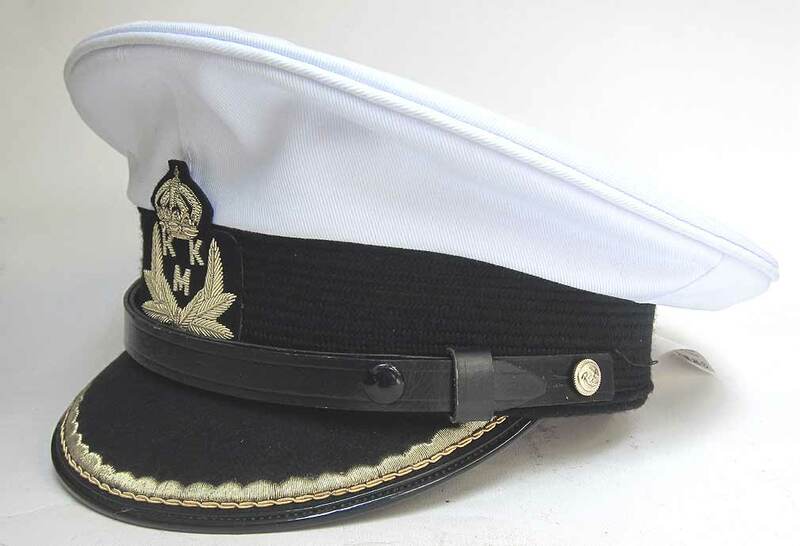 We can make similar caps up for other motor boat clubs please contact us with details. 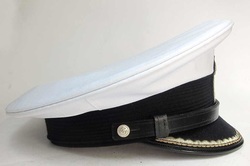 Brand new yachting cap but made in traditional 1940's style and materials. 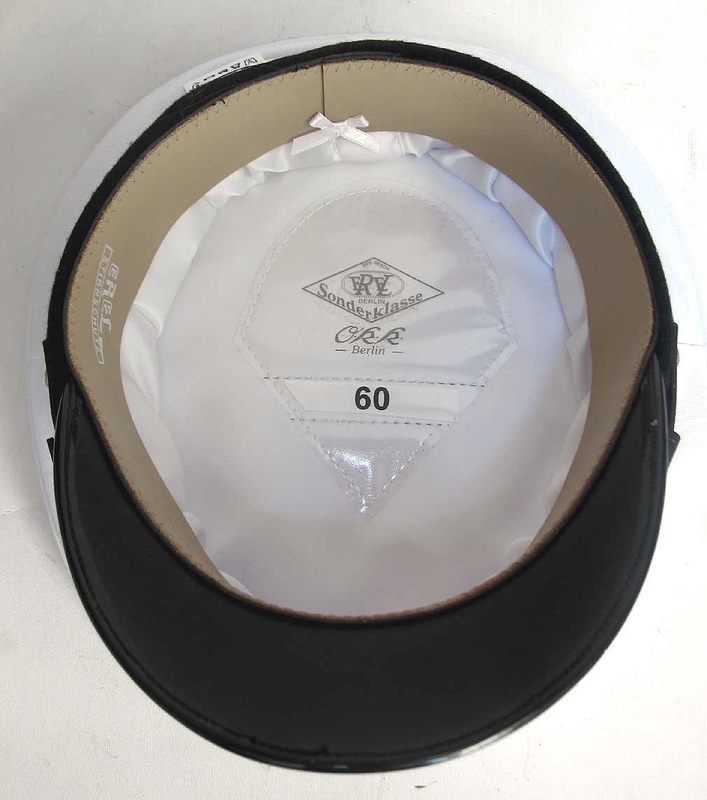 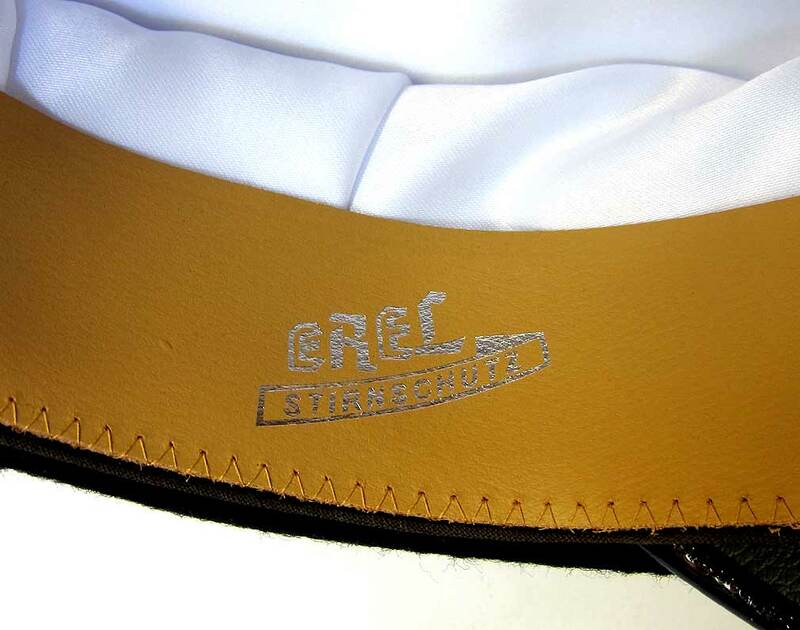 The top is made of removable natural cotton, gold peak with edging and headband support, leather chinstrap, brass buttons, EREL marked leather liner and many other features. 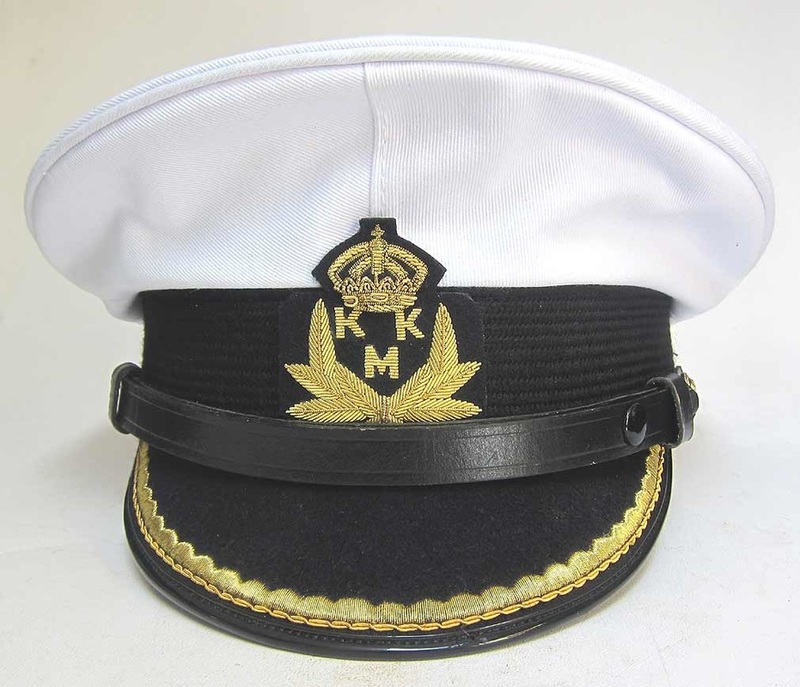 Swedish Motor Yacht Club - "KMK" - founded in 1930, is a part of KMK, which organizes high speed motorboat boat races. 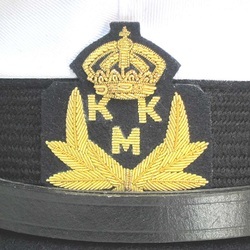 The KMK-R Emblem of Sweden Club was introduced the same year.Oldest motor yacht society with over 1600 members and 740 power yachts. 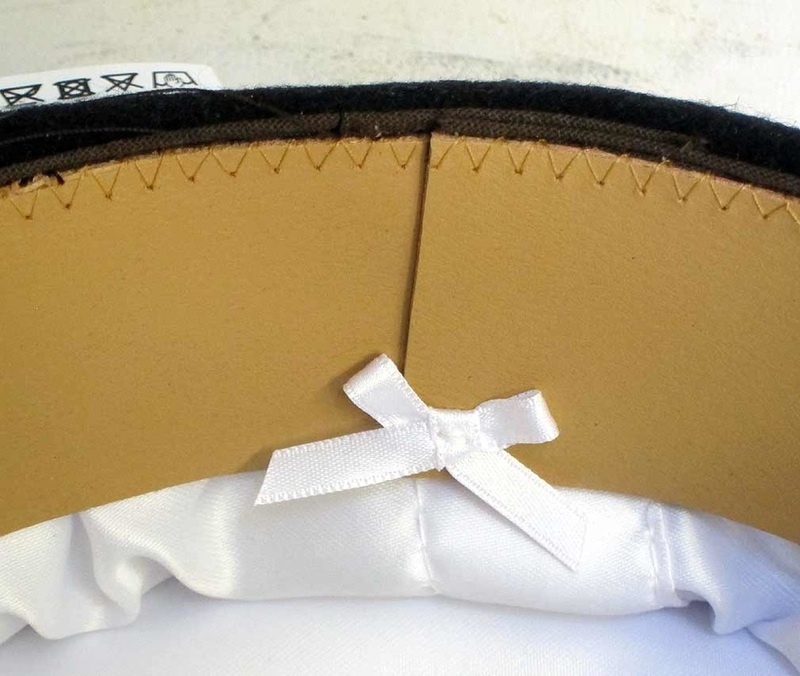 Approximate cost will be £200 pounds depending on finish, postage, badge etc. 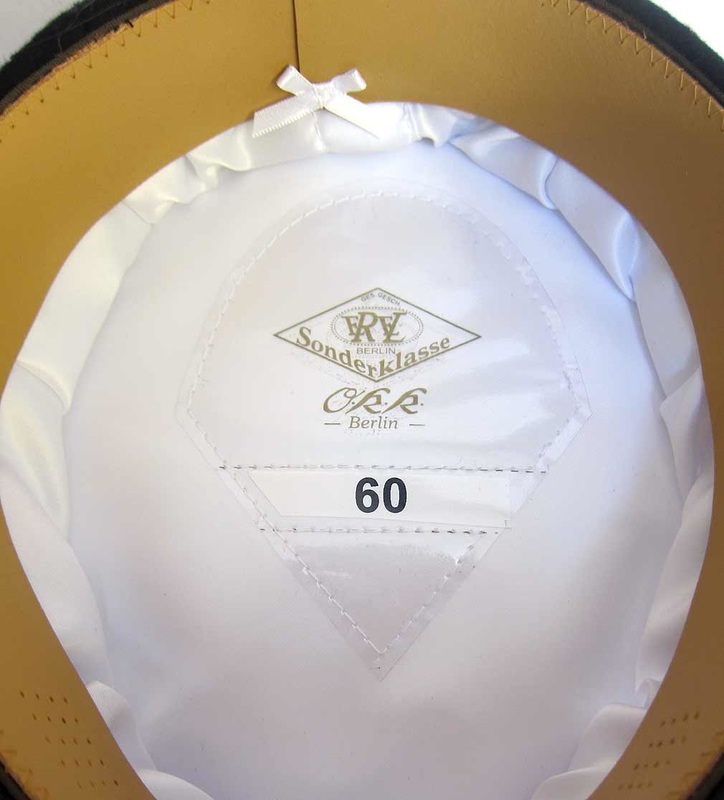 Please email us if you want a similar one made up.